This post is sponsored by the jolly fellows over at Minute® Rice. Don’t work yourself into a tiffy over it, though. All thoughts and blooming brilliant opinions are my own. And I definitely always talk like this. Oh, what’s that, there? No, it can’t be. Allow me to adjust my monocle. By Jove, it is! 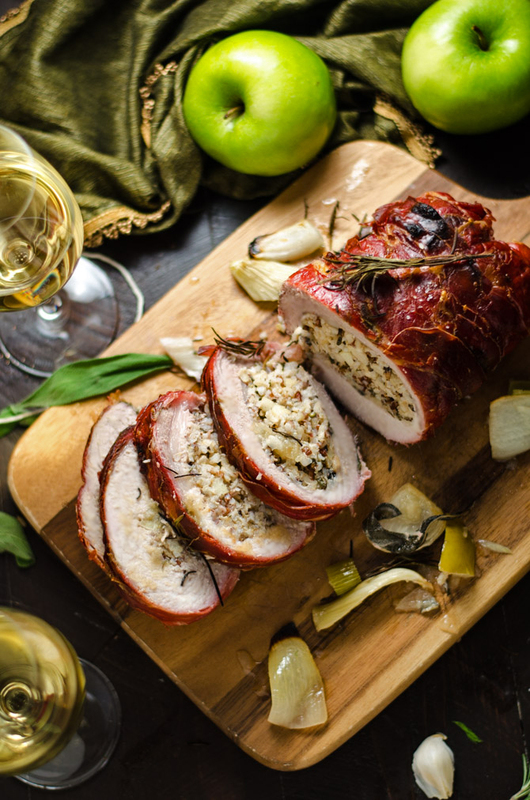 That mouthwatering masterpiece is a Prosciutto-Wrapped Pork Loin with Apple & Rice Stuffing! I do say, its crispy, salty exterior is simply crackling in delight. The juicy, tender meat is absolutely glistening. 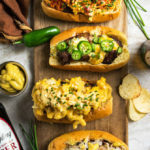 Its flavor-packed filling of ricey splendor is beckoning me to take a bite. The holidays are upon us, good chaps, and this capitol dish is going to turn heads at your family table. This is the part where I twiddle my moustache in my armchair by the fire, wink, and then and disappear in a puff of smoke from my tobacco pipe. Magical. 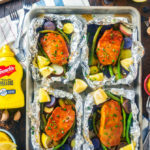 But here’s the thing: This recipe– though stunning– is actually much easier to make than it seems. And if you’re willing to give it a go, the rewards (in both flavor and appreciation) are astronomical. 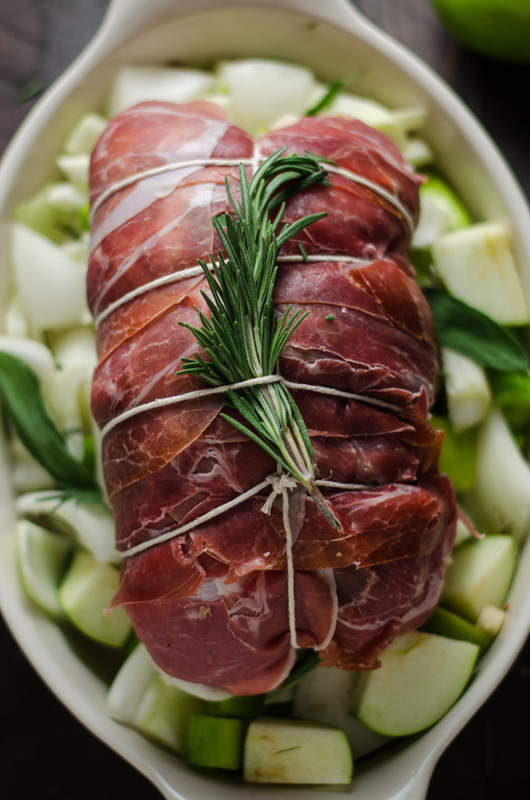 Roast this baby up for Christmas dinner and your whole family will think you’re a superstar. Swear it. 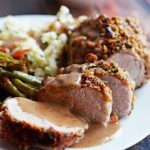 Let me let you in on how I cut corners while making the pork loin crazy delicious. To start, I make the rice stuffing, which features several varieties of grains, sweet granny smith apples, fresh garlic, aromatic fennel bulb, rosemary, sage, and a drizzle of balsamic vinegar. I love the way that the sweet and sharp ingredients contrast with the nutty, earthy flavors of the long grain brown rice, Thai red rice, wild rice, and quinoa. “Morgan, that doesn’t sound like a simple mixture,” you might think, but the key is to use a convenient pre-blended package of all of the grains, A.K.A. 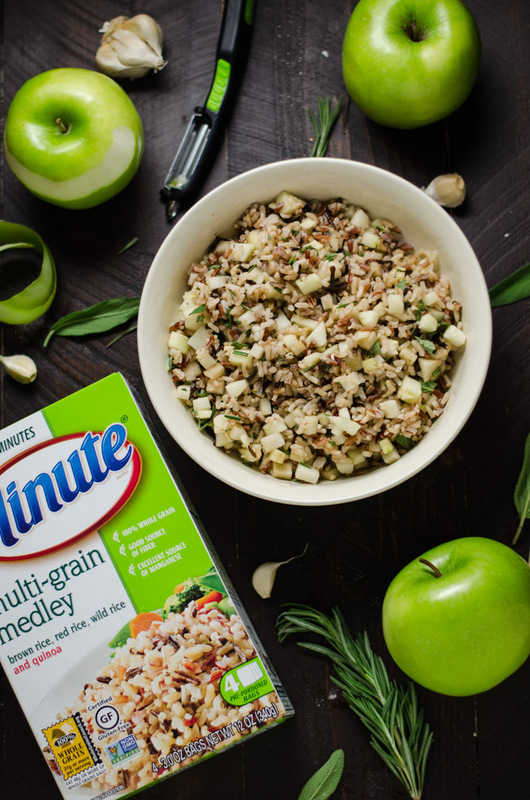 the Minute® Multi-Grain Medley. 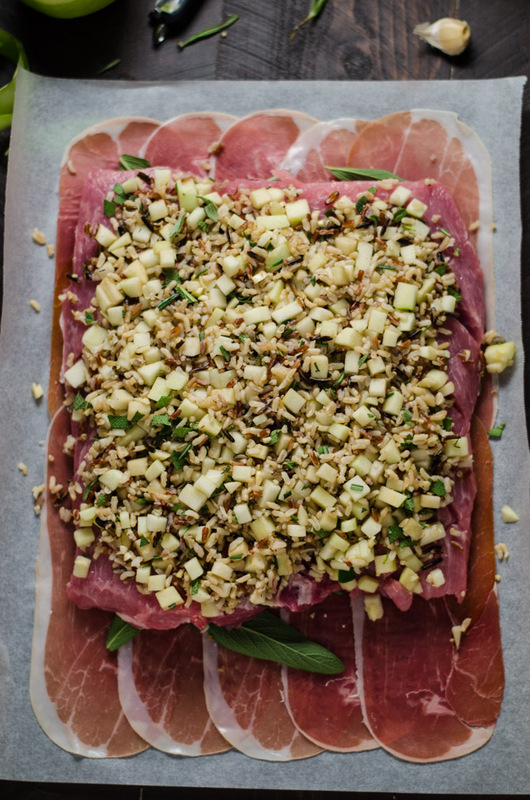 The Multi-Grain Medley is slightly chewy, which balances the softness of the cooked apples and fennel and breaks up any textural monotony from the big pieces of pork that surround it. It also got both James and Mike to eat a TON of quinoa and brown rice, which is a miracle of its own. When it’s all tossed together like that, you just can’t help but dig in. Good thing the rice comes in conveniently portioned packages and only takes 10 more minutes, though, right? Talk about a pantry staple. 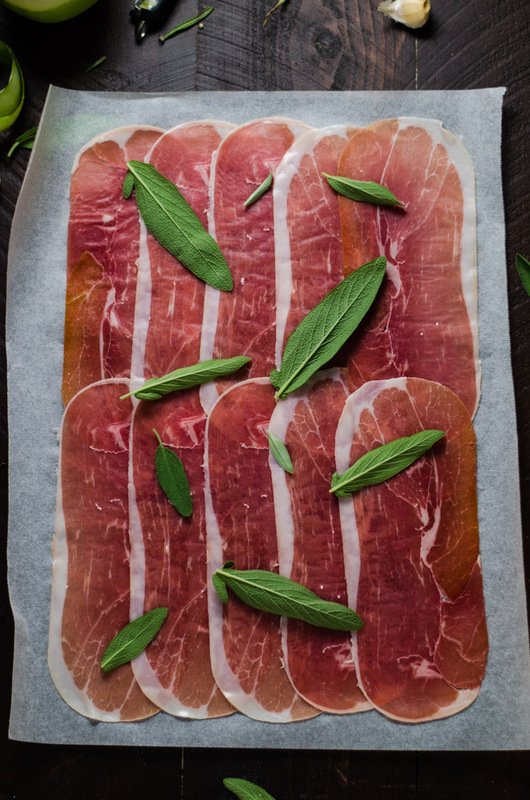 Once I’ve got the (second batch of) rice stuffing ready to go, I lay out a sheet of parchment paper and layer prosciutto on top, with each slice slightly overlapping. 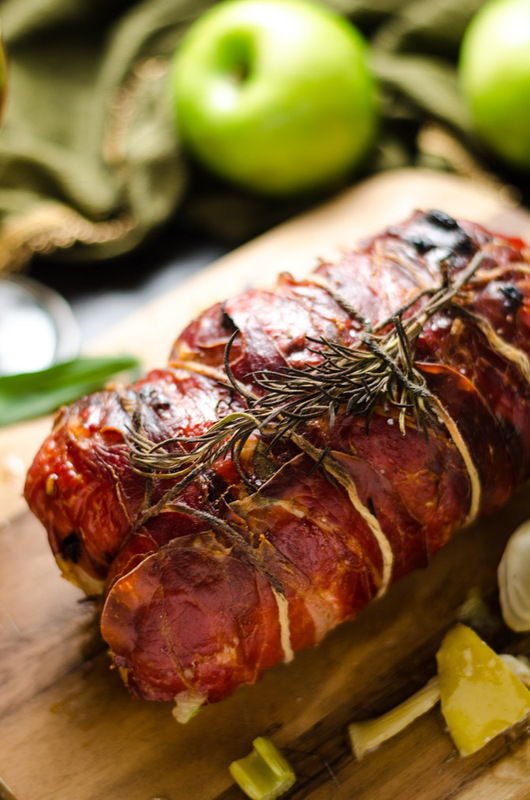 I throw some sage on top and then place a butterflied pork loin right over the prosciutto. 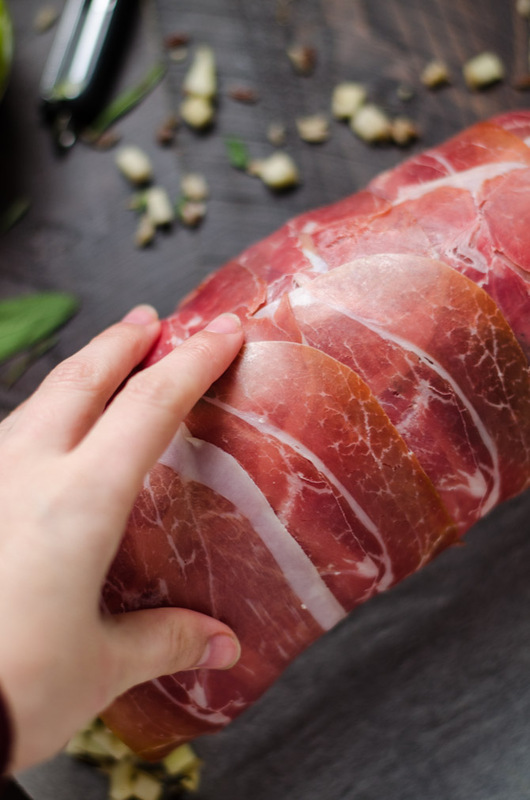 This makes the wrapping and rolling process pretty much fool-proof. Then, of course, I cover every inch of the pork loin with the rice stuffing. And then I keep rollin’ rollin’ rollin’ rollin’. Thank you, Limp Bizkit, for the inspiration. After I roll the pork loin up, it’s time to truss. This actually was my first time trussing, and I’ve got to say that it’s a billion times simpler than I previously imagined. 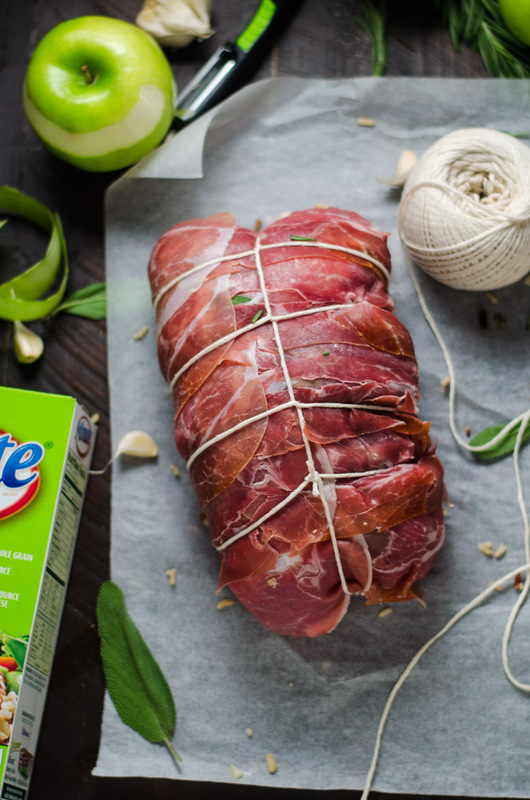 Just make a slip knot, place the loop around the end of the pork loin, and tighten the knot. Next, twist the string to create loops and slide them around the pork, all the way down the loin, one by one. Once you’ve got all of your loops, flip the pork over, thread the remaining string through all of the loops, and then bring the string back up to where you began. Tie the end of the string to your starting point and you’re done! If that’s a bit too intimidating, feel free to just secure the seams with toothpicks. 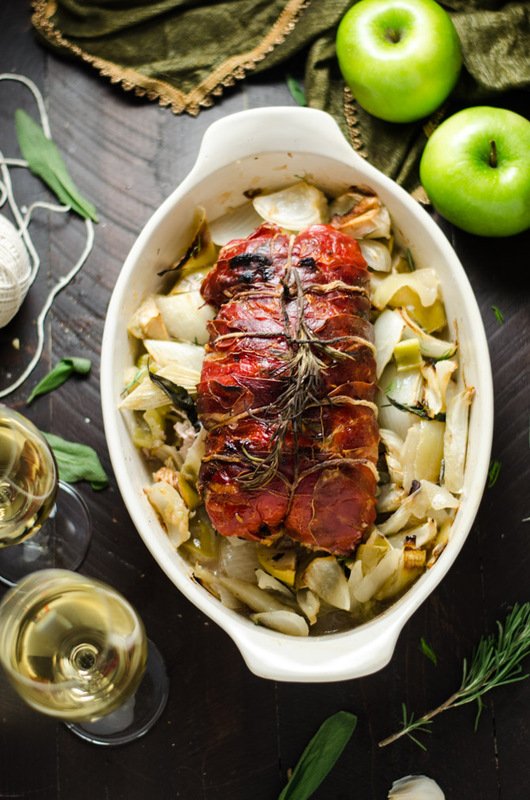 I like to cook the Prosciutto-Wrapped Pork Loin with Apple & Rice Stuffing on top of the leftover apples, garlic, fennel, and garlic cloves that weren’t used in the stuffing. I also throw in celery and onion for good measure. The end result? Delicious drippings for gravy and super flavorful veggies and apples for serving alongside the pork! So what are you waiting for? 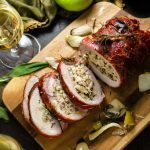 Use these photos (and the video below) as a guide to make this impressive Prosciutto-Wrapped Pork Loin with Apple & Rice Stuffing for your holiday dinner. 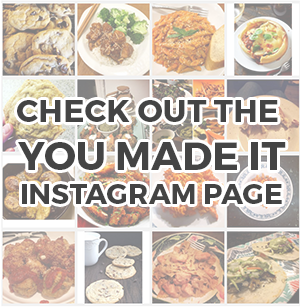 And when you do, don’t forget to take a picture and tag #hostthetoast on Instagram. I can’t wait to see yours! Oh wait– one more thing. In case you missed it in the beginning I just want to clarify again that this is a sponsored post written by yours truly on behalf of Minute® Rice! No sneakiness here, my friends! Mashed potatoes will work wonderful as well. I hope it was helpful. Let me know how it came out. 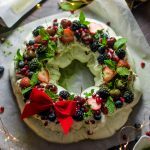 Thinking about the holiday menu?